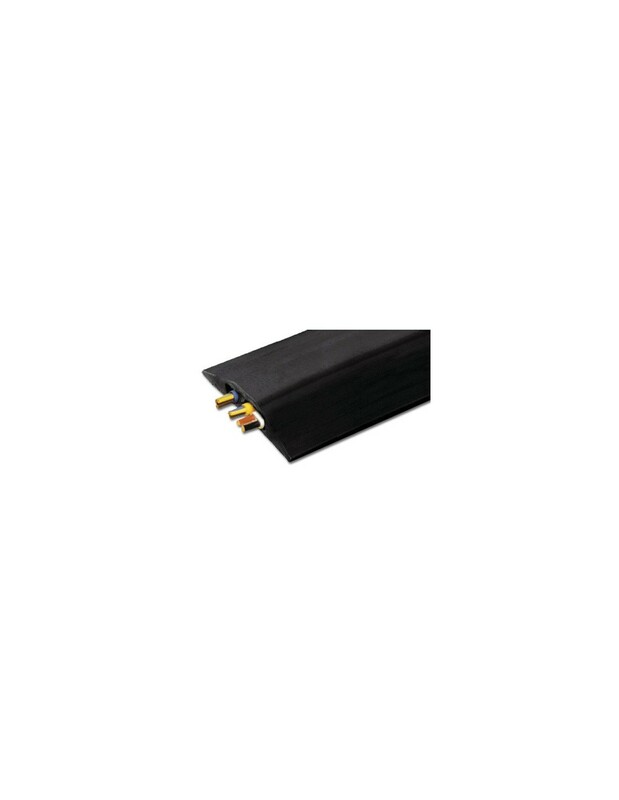 Features two separate cable channels for multiple cables. 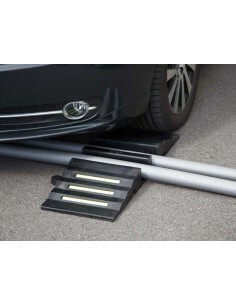 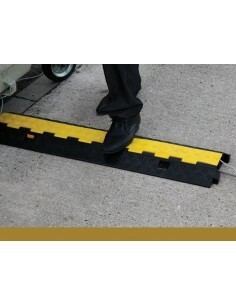 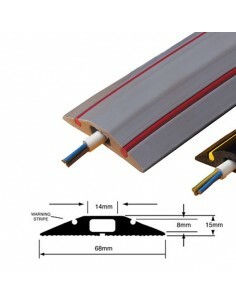 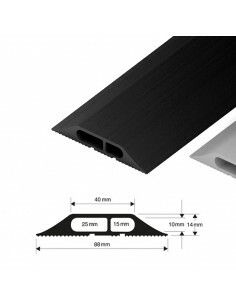 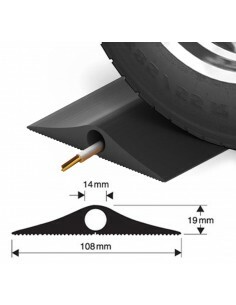 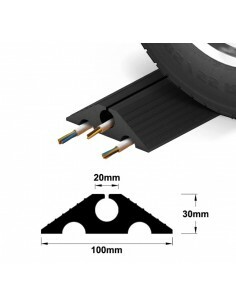 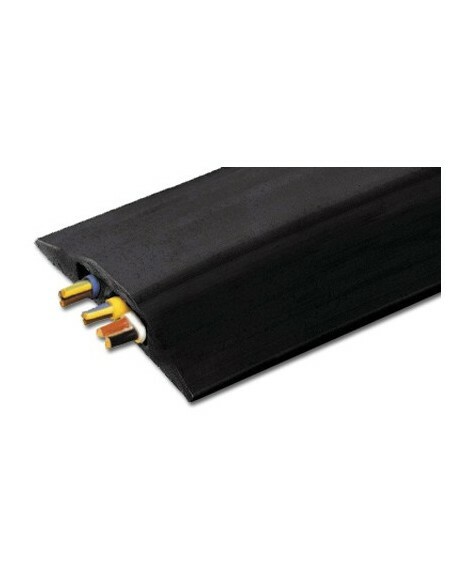 A flexible PVC floor cable cover to tidy and protect trailing cables which features a non-slip ribbed base to keep it in place on any floor surface.The base also features a 'snap-fit' membrane making it easy to split open the back and insert the cables without the need for scissors or a blade. 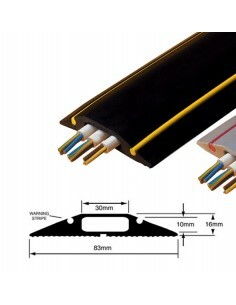 This version has two separate cable channels capable of accomodating multiple cables. 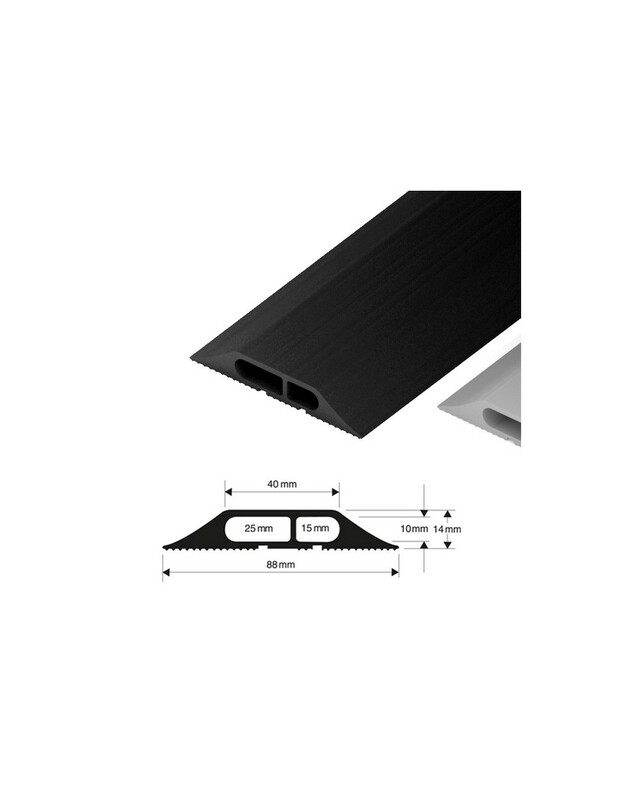 Made from fire retardant flexible PVC. 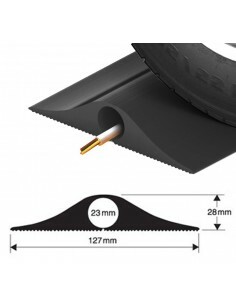 Available as a 9m length which can be easily cut to size.